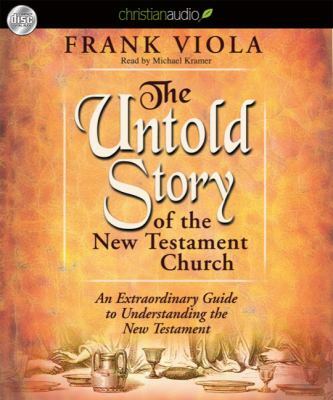 A scholar of the New Testament Church and a forerunner of modern Church renewal, Frank Viola casts his gaze back at the birth pangs of first century Christianity in The Untold Story of the New Testament Church. Using a 'you-are-there' approach, this epic volume gives readers a first-hand account of how the witness of Christ's testimony impacted the world. In the era right after the Day of Pentecost, the power of Holy Spirit prompted a massive harvest of souls yet a great persecution surged against those preaching Good News to the lost. Now, get up-close with apostles Paul, Peter and John and learn of their personal struggles to fight for the faith amidst a backdrop of in-house strife and foreign tyranny.